With the 4th of July upon us, I thought this would be a good time to reflect upon how much further away from our Founders’ notion of Liberty than we were just one week ago. Imposing a draconian and practically unenforceable standard in an area of the law which is already subject to strict discrimination guidelines. We now live in a country where we measure ourselves by counting coup over our political adversaries instead of referring to our legacy of national heritage, our founding idea of fundamental liberty and our civic rituals. These things matter more now, not less, as outcomes are being determined by the side with the biggest megaphone. Today, that megaphone is held by those who would destroy the very thing that made us unique: the freedom to live as we choose without a government which is ever further removed from us dictating that which we must and must not do. 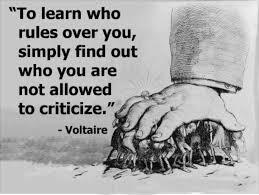 And to criticize is to be branded with terms that are meant to do nothing more than stifle dissent. This entry was posted in Federalism and tagged Federalism, Independence, Liberty. Bookmark the permalink.